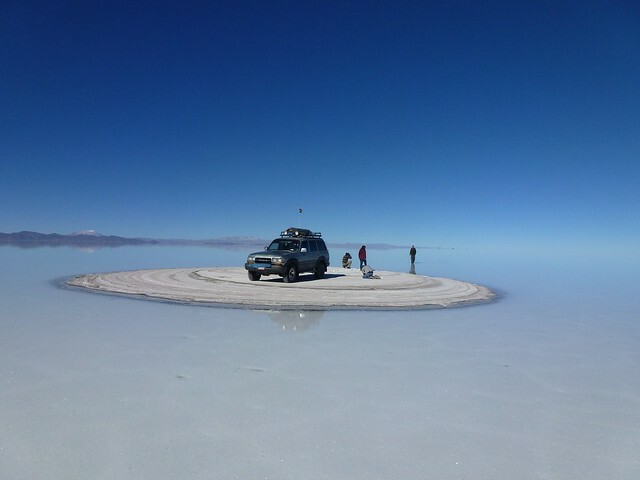 Brilliant Bolivia! It’s still a bit rough around the edges which makes it’s great for backpacking. Don’t be scared, yes there’s death roats, piranhas, crazy horses, metal bus drivers but there’s some good time to be had! Similar to other South American countries there’s no fee for UK residents. You’ll get 30 days on entry, but your able to apply for a further 60 days with a total of 90 within one year. You can get more but you’ll need to get a visa. More information can be found at – http://www.fco.gov.uk/en/travel-and-living-abroad/travel-advice-by-country/south-america/bolivia#entryRequirements. You can fly into Boliva and if you fly into La Paz you’ll be able to fly in one of the highest airports in the world. However in doing so you might have problems with the altitude, due to the lack of oxygen you can develop altitude which isn’t nice. For an up to date list of Airlines and Destinations check out the Wikipeadia page for the airport in Lima. The main domestic and international flights are with LAN, Amaszonas and TAM. You might be best getting some internal flights as some of the road are very poor, we grabbed a flight from Rurrenabaque to La Paz with Amaszonas which saved 25 hours so do consider flying some legs of your journey. Not much in terms of trains in Boliva, but there are some options. In the south trains run from Oruro to Tupiza, taking to Potosi. That train can get booked up very quickly with tourists choosing that option than the terrible road. There’s different classes with different prices, however the time table isn’t too complicated due to there only being a few trains. Further information can be found at http://www.ferroviariaoriental.com/ and http://www.fca.com.bo/ who are both operators of trains in Boliva. Over to the east a train runs from Santa Cruz to the board of Brazil and Argentina. We didn’t travel in this area so don’t have much to add unfortunately. If you’re interested in using rail network in Bolivan then I would suggest heading over to http://www.seat61.com/SouthAmerica.htm#Bolivia which has a little information about trains. Prices were cheaper than the bus if you travelled in the lower classes, however the higher classes where more expensive and the train was slower than then busses. Have you travelled on the trains in Bolivia? If so leave a comment or get in contact us with more information and we’ll add your contribution to the page with a credit to your site or twitter account. …. it’s not good. But it’s an experience. The buses are really cheap, your paying on average $3-7 USD for a ride. Most of the journeys are at night, and unfortunately most of the roads are really poor, bumpy, gravel, washed out so there’s little hope of getting good nights sleep. Many of the busses are just standard seats so don’t be expecting semi-cama, on board toilets and hostess services you might see in other South American countries. There’s not much in terms of “tourist services” you all in one bus with the local and tourists. Companies include Jumbo Bus, Pullman Internacional, Cosmo, La Asunta. Your best turning up at the bus station and picking a bus company by comparing price and checking the quality of the busses. Accidents happen, be that crashes or the bus coming off the road, if your on a mountain pass (it’s pretty mountainous) it’s light out. So if your nervous have a look at flights, which can also save you time but are so much more expensive can be hard to justify when the busses are so cheap. If you start Googling about busses in Bolivia there are some bad stories, but thats just a small percentage of the busses that crash, hundreds of busses arrive safely everyday. That all said we classed the journey from La Paz to Rurrenabaque as the most dangerous we did all year. Similar to Peru it’s pretty hilly in Boliva, there’s nothing stopping you getting on your bike. It does get cold, spares and extra parts might be hard to get hold of. One time you might get on a bike is for the death road in La Paz, an old route that was used for trade is now used for tourists to hurtle down on mountain bikes. It’s a fun experience but is dangerous, we didn’t partake but plenty do! There’s some crackers and theres some questionable hostels but it’s all pretty cheap. Dorms tend to range from £2 to £6 with private rooms around £5 to £12. As with Peru and Argentina bargaining is a no go look for free days or discount if you book more than 5 days. Most hostels have breakfast, the majority are break, jam, butter with tea and coffee. However some do excel the Koala Den in Potosi had great eggs in the morning. Kitchen are rare due to food being so cheap in the markets, on the street or in restaurants. 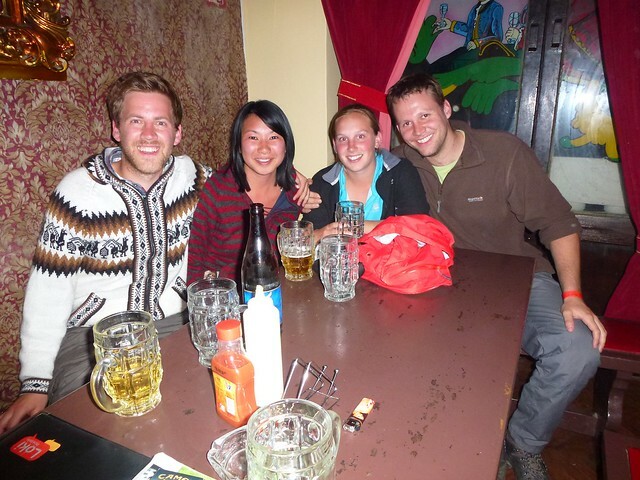 There’s some real party hostels in La Paz, the giant Loki Backpackers, The Wild Rover Backpackers and Bacoo were all really social, by that I mean they all have a bar in the hostel. Some hostels are not on hostel bookers so it’s not always possible to book ahead. You can email or call ahead, the popular hostels in La Paz tended to get booked up at the weekend so do book ahead. It’s not good, during our time in Bolivia we were able to upload about 5 photos using free internet at hostels. You can pay but the speeds won’t be blistering fast. It’s fine for skype but expect dropping of the connection and periods no connection. In some of the smaller hostels there’s no internet but most will have free wifi or knackered old PC’s you can use. The free wifi in Loki in La Paz is crap! 100’s of backpackers trying to get on Facebook results in no internet for anybody. It’s good, it’s cheap and it tends to have potatoes in! Street food is plentiful from quick snacks to meals, there’s restaurants but also great market food to be sampled. Choripan – Sausages, but really meaty, sometimes served in bread, sometimes not, we found a stall in La Paz which bashed out dish after dish of choripan with rice, salad and potatoes. Pique Macho – Some love it some hate it, it’s chips, with beef chunks, eggs, hot doggs and onions all pilled up, and by pilled up it’s around 10 cm deep in the middle. We tried some in Uyuni which resulted in a upset stomach for John (not that it takes much)! Salteñas – Similar to empanadas which you get in Chile and Argentina but the Bolivian version is super loaded and pressurised with juice, you bit and you’ll get food and Salteñas juice all over you as I found out. Humintas – I didn’t like these which resulted in John scoffing down too. Something that you would expect to sea in Asia, it’s rice/corn with butter all wrapped in a leaf, good little snack. Mini Pizza on the street in – Yeah not typical local food but really good and cheap! See the post about it. 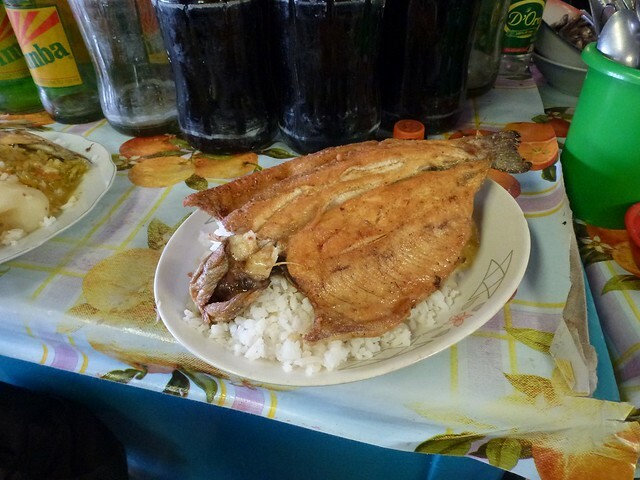 Fresh Trout (trucha) – From lake Titicaca the trout was amazing, and huge. Thats just a sample, but there’s loads more, check out the blog from the travel chica about some more food in Bolivia! Have you been to Bolivia? Are you one of those people that takes a picture of everything you eat? If so send us a pic and a quick sentence about the food, any pics will be credited to the source or your website. I can’t say that any drinks stood out to us much in Bolivia, neither non-alcoholic or alcoholic. There was some good fruit stalls around but the majority of the time it was Coke or water. Coca Cola has really got a hold on the market in Bolivia, maybe due to the nations love of chewing coca leaves? If you had a memorable drink, please get in contact and we’ll add anything to this section. Day 18 – Hello altitude sickness….again! Day 22 – Is Isla del Sol a sunburn trap? Day 25 – Suicidal bus or expensive plane to Rurrenabaque? Day 26 – The most dangerous bus journey yet! Day 34 – Amigo Hostel, the most regulated hostel ever? One Response to "Backpacking Guide to Bolivia"
I’m currently planning a trip to Bolivia for 2 weeks or so and you’ve provided some great information. It sounds like a unique country from what I’ve read and seen so far.